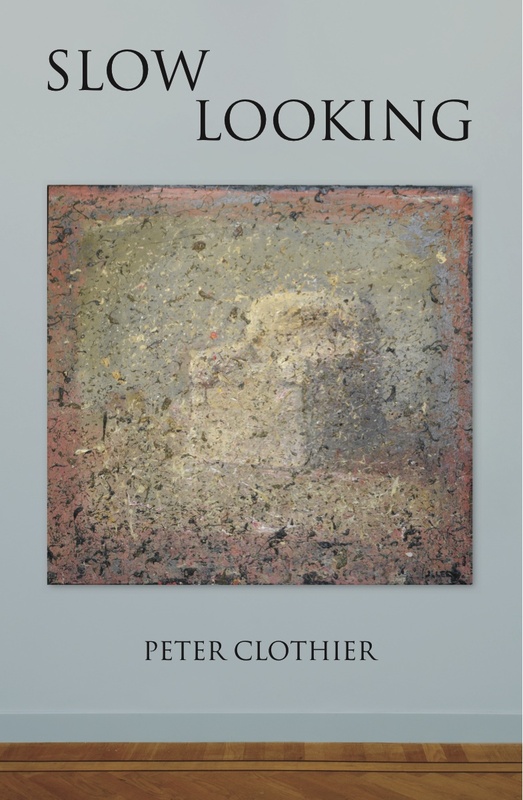 Peter Clothier's important new book Slow Looking: The Art of Looking at Art guides the reader seamlessly through the history, process, and ideas behind his One Hour/One Painting sessions. Clothier's development of One Hour/One Painting began with the realization that along with most museum or gallery visitors, he increasingly spent more time looking at the information label on the wall than at the artwork itself. To combat this habit, Peter began to spend an hour silently and inquisitively gazing at one work of art. Much influenced in recent years by Buddhist thought and practice, Clothier combined elements of meditation and contemplation in these sessions and found more profound and rewarding experiences. In a One Hour/One Painting session, Peter Clothier invites small groups of participants to sit in front of a single artwork for a full hour in a gallery, museum, or studio environment. Clothier recently hosted One Hour/ One Painting sessions during the Diebenkorn: The Ocean Park Series exhibit at the Orange County Museum of Art and at the LA Louver Gallery. Peter, also, held a session (see video below) in my Santa Monica Airport studio. Clothier began as he usually does with a brief introduction describing the hour to take place and then gently guided the participants by explaining the principles of closed-eye breath meditation, how to relax and refresh the eyes, and provided encouragement to rid the mind of expectations and pre-judgments. For me and most of the participants that evening, the hour moved quickly as Peter led us through alternate closed and open-eyed moments. As Clothier explained, "this was individual work without initial discussion or interaction and allowed each participant to experience the artwork as fully as possible, without interruption." At the end of the hour, however, Peter invited responses and a rich discussion of the experience followed. 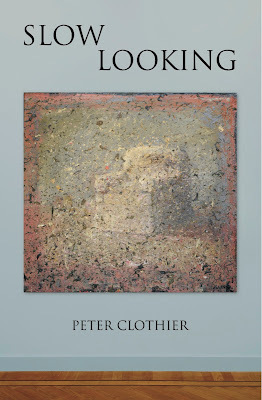 Peter Clothier's Slow Looking: The Art of Looking at Art is written in clear, supportive language that illuminates art and meditation. Clothier seeks to achieve a harmony of mind, heart, and body in his life and writing and Slow Looking provides rich examples for us to learn from and follow. In the book, we are encouraged to seek a pure visual experience with art through a beneficial process of contemplation, stillness, and serenity. Slow Looking also provides access to an audio and a video demonstration of a One Hour/One Painting session that invites readers to try it out for themselves. Highly recommended! Made along with participants at Gregg Chadwick's studio in Santa Monica, this video was filmed live by David Lowther. 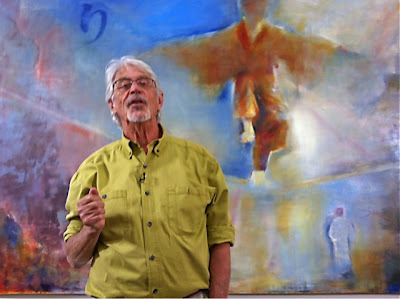 It provides a full length example of Peter Clothier's One Hour/One Painting sessions and demonstrates the techniques involved in this guided meditation and contemplation. 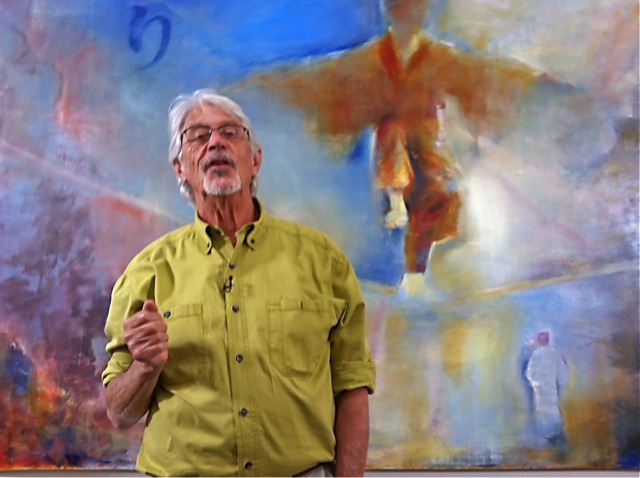 Peter Clothier has a long and distinguished career as an an internationally-known art writer, novelist and poet and describes himself as "an aspiring Buddhist who looks at art, books, and the vicissitudes of life." Clothier enjoys a world-wide following for his blog, The Buddha Diaries and is a contributing blogger in The Huffington Post. He lives and works in Southern California. His work has appeared in the Los Angeles Times, Artscene, ARTNews and other publications. He also hosts a monthly podcast entitled "The Art of Outrage," on ArtScene Visual Radio. Peter Clothier's latest books are Persist, Mind Work, and Slow Looking. Peter Clothier's "The Buddha Diaries"
David Bowie's New Berlin Elegy: Where Are We Now?